0.8ltr Handmade Footed Claret Jug. 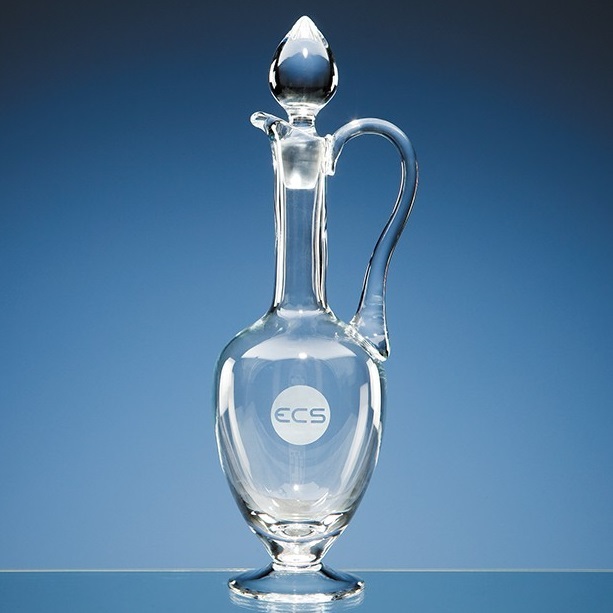 The lead crystal claret jug is ideal as a presentation gift or as a sports award. The jug measures 370mm x 130mm. It weighs 1.2kg unboxed. The jug comes in a skillet box as standard.